You are trying to focus on your cardio workout but there are no available stationary bicycles and treadmills in the gym. It’s a waste of time if you will wait for several minutes just to use one. 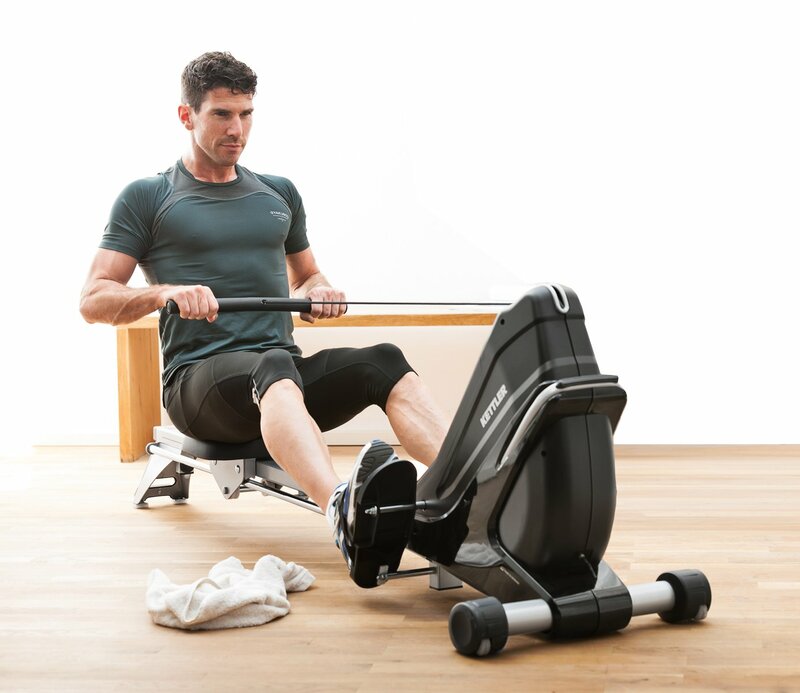 Today is the perfect time to consider the rowing machine. Most people fail to look at the benefits of a rowing machine. You must have noticed that these are always available in the gym compared to other cardio equipment. If you are among those people who haven’t tried using it, we are going to outline the things you have to know about it so that that the next time you visit a gym, or in case you plan to get a good gym equipment that can be used at home, you will look at this differently. 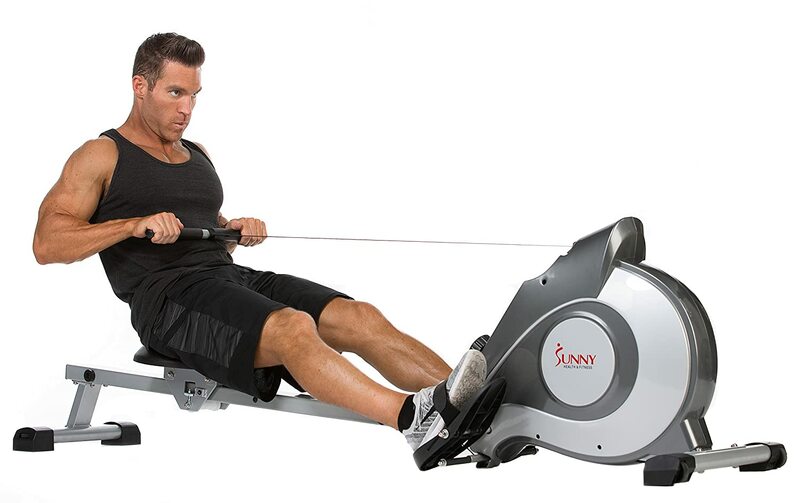 A rowing machine is designed to mimic the motion of outdoor rowing. It has movable seat and hand-pull. It also has different types: hydraulic-piston, water, air and magnetic. If you plan to purchase one, you have to know the differences so that you can assess which one will work best for your needs and preferences. This works by pulling against the air or fluid from the cylinder. Different levels of resistance can be achieved through clamps. The available designs are simple and compact, most of these are even foldable. These reasons explain the affordable cost. If you are new and you are looking for a quiet option, this is your best bet. Unfortunately, it does not give you the natural, smooth and flowing feel of a flywheel machine. It also has a stationary seat, therefore, it won’t be applying any resistance to your lower extremities. If hydraulic-piston does not work for your home exercise, the magnetic-based can give you the silence, too, but with additional resistance. To provide resistance, the flywheel has a magnetic break that you can also alter, whether you want it increased or decreased. However, the style does not give you additional resistance if you will pull it harder or faster. Price is slightly higher compared to hydraulic-piston. 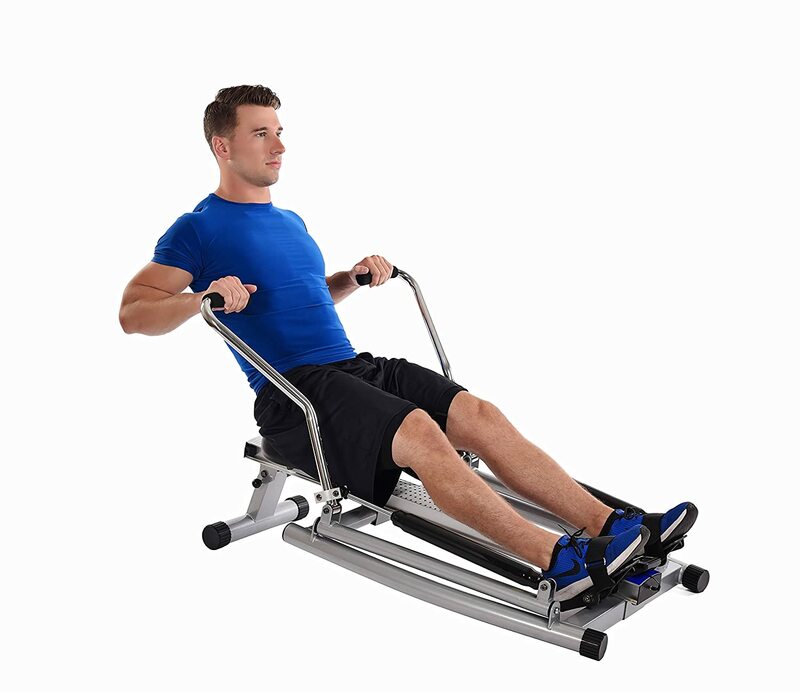 The air rowing machine acquires resistance through the rotating flywheel inside. When you pull the handle, the flywheel rotates, therefore, it generates wind. The resistance increases every time you pull the handle. No need to do adjustments by pushing some buttons or altering some parts on your equipment. Because of that, expect that you will go through an extensive workout, especially if you will do it faster. The only downside of this type is it’s a bit noisy, making it not ideal for home use. Water – If you are looking for that real feel, here's an ideal option. It has a paddle suspended in a tank of water, which accurately mimic how water rowing feels. Like air rowing machines, resistance is increased if you will push the handle faster. To adjust the level of intensity, you can increase or decrease the amount of water inside the tank. Because of its designs and features, it is the biggest and priciest among all types. 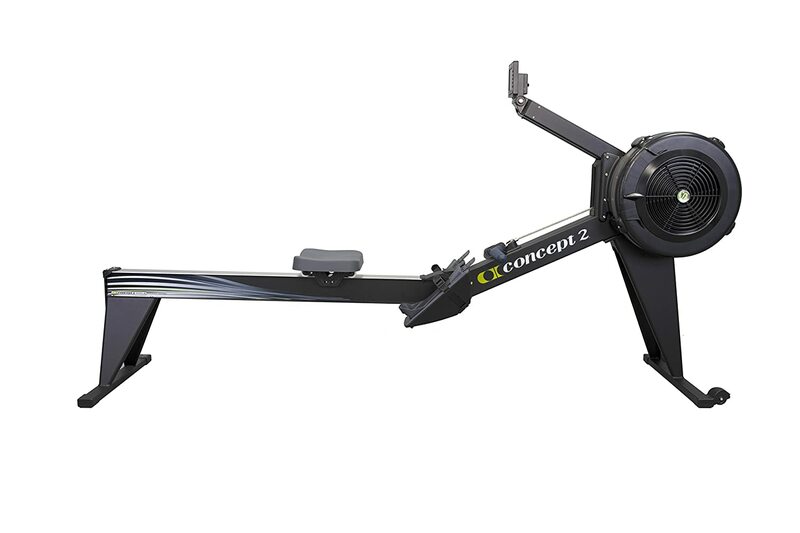 Here’s a fact – did you know that these rowing machines can burn as much as 800 calories per hour? With that, you are guaranteed that you will lose at least a pound if you continuously row 1 hour a day for an entire week. It also offers a total body workout, working like an ultimate gym multi-tasker, as it requires you to use 25% of your upper body and 75% of your lower body – your abdominal, arms, back, legs and glutes get intensified workout using this fabulous equipment. It's one of our top picks of the best home gym equipment. If you need an exercise equipment that can give you an effective, full-body workout, use a rowing machine. Because of its functions, it helps to raise your heart rate and breathing frequency as a form of reaction to the increased oxygen demand as you continuously pull the handle. However, do not push your limit too much. It is important to have a heart rate monitor with you. You must be just between 60-80% of your maximum heart rate. Everyone can also try the amazing machine. Yes, even those who have gone through injuries do not need to worry about their condition because it places no strain on your back and joints in spite of the intensified workout due to its minimal impact loading. Just to be safe, make sure that you limit the level of intensity depending on your body’s capability. It also provides better workout compared to other cardio machies. In fact, spending 30 minutes on a rowing machine will give you the same physical impact that you will get from a 90-minute cycling. Saves you time, undoubtedly! If you ensure that you take a healthy diet, you will notice faster body improvements compared to other types of exercise equipment. You get rid of higher calories, because of its intensified combination of cardio workout and strength training. Now that you know the types and benefits of a rowing machine, you must have realized why you should have it as part of your workout regimen. However, there are several things that you need to consider in order for you to know what type matches your needs. The first thing that you need to consider is space. If you live in a small apartment, and your walls are not soundproof, compact and foldable hydraulic-piston and magnetic-based rowing machines are your options. You have to make sure that you will not disturb other tenants as water and air rowing machines are quite noisy. These are also bigger and can consume a lot of space, thus, the available space inside your home may not be enough. The second consideration is the comfortability and support it can provide. 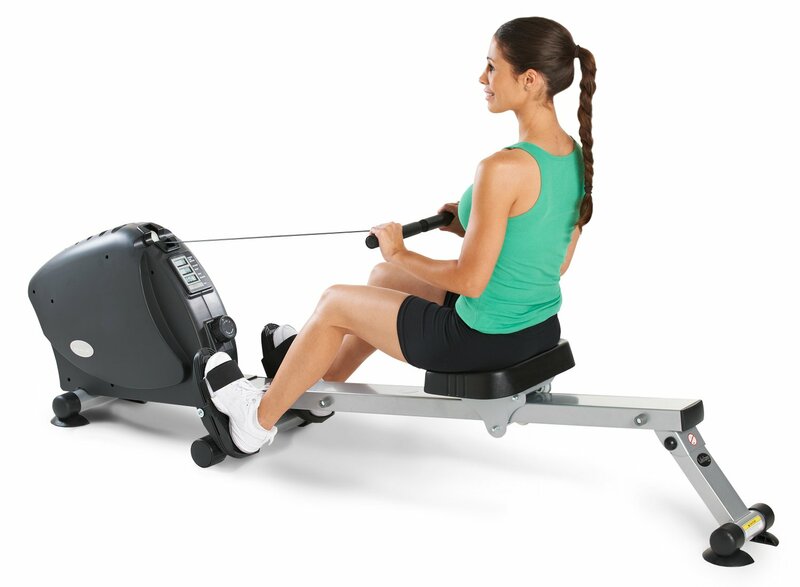 To ensure that accidents may not transpire during the workout, find a rowing machine that has ample support. You also need to check if it has comfortable seats, sturdy foot pads and adjustable level of resistance. You have to try it for yourself to ensure that it matches your body built and the demand of workout you need. Features are definitely important. Look for an equipment that works both your upper and lower extremities. If you are looking for something that can provide you the anticipated rowing feels, go for an air or water type. If you want to know how much calories you have burned or how much time have you been spending working out, look for an equipment that has a monitor. 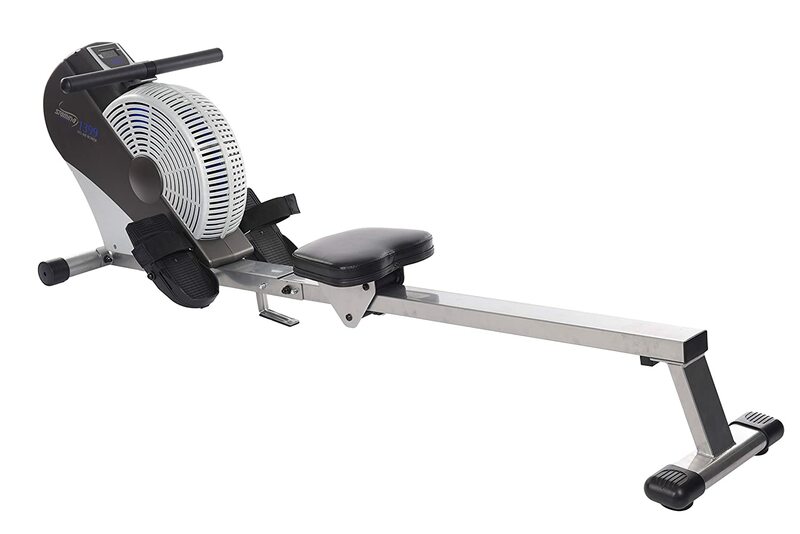 Last but not the least on our top picks is the Kettler Coach E Rowing Machine. See it's current price on ﻿﻿Amazon here. 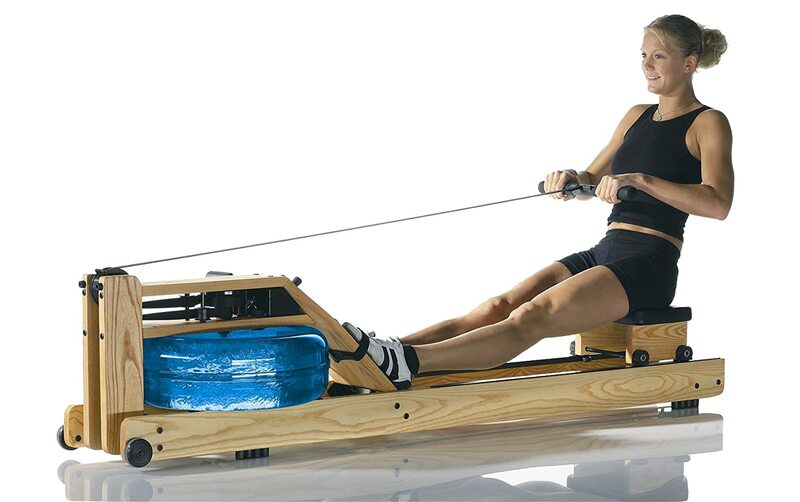 Designed to simulate the actual action when rowing in a watercraft, this equipment is ideal for both new aspirants and professionals who would like to intensify their workouts. As mentioned earlier, you have to keep your heart rate between 60-80% of your maximum level. This equipment has a monitor to ensure that you will target that level and automatically adjusts once you have reached your preferred heart rate. It also comes with a full suite of 12 workout programs so you can adjust and improve your performance over time. Read the full review here. We hope we have provided you an outline that has helped you assess which type of rowing machine will work well for you. Either you try it in a gym or purchase one on your own, consider all these information so as to find your perfect match.